← Welcoming new JiC Co-Author, Alana Tiemessen! African states wanted the ICC: Much of the strongest support for a permanent international criminal court in the Rome Treaty negotiations came from the Africa group. That support continued after Rome and African States Parties have a high level of ratification of the treaty (although, notably, a weak level of corresponding implementation legislation). J’accuse! African war criminals don’t want the ICC: Accusing the ICC of a “pro-Western, anti-African” bias is a rhetorical political tool of the accused themselves. Accusing an international tribunal of pro-Western bias or victor’s justice is also not unique to the ICC – Goering, Milosevic, Taylor, etc. all rejected the tribunals they faced with this grandstanding challenge. The accused cannot defend their crimes, so they choose to undermine their accusers instead and invoke hyperbolic claims of racism and neo-colonialism. African victims and civil society want the ICC: Despite the protestations of some political elites, there is substantial support for the Court’s investigations and arrest warrants among victim communities and civil society, whose support is essential for the ICC’s legitimacy and its ability to obtain witness testimony and evidence. The ICC also engages in outreach and assistance to war-affected communities and brings some hope of justice to those further marginalized by their victimization – something that domestic political and judicial institutions have less capacity and will to do. On cooperation with arrest warrants, the African Union is fingered for encouraging non-cooperation with the ICC, notably because of its 2010 call for non-cooperation on the Bashir arrest warrant and supporting Kenya’s request to the UNSC and OTP for a deferral of the indictments of its nationals. But as Bensouda argues, there are signs of improvement in cooperation with the AU and indeed the AU supported Bensouda’s nomination, believing that the “African bias” of the ICC was more directly linked to outgoing Chief Prosecutor Luis Moreno-Ocampo and not the mandate of the Court itself. It is wishful thinking, however, to assume that Bensouda will engender a cozier relationship with the AU simply because she is African. It is likely that the ICC will become a more victim-centered court under Bensouda’s public leadership and prosecutorial strategy, which may lead to more interventions and engagement in Africa and not less. This entry was posted in African Union (AU), Fatou Bensouda, ICC Prosecutor. Bookmark the permalink. This is a very important and timely topic, Alana. Thank you for taking it up. You raise quite a few interesting questions, but it is a bit hard to tell from the post how much of this is Bensouda’s pre-inauguration PR campaign, and how much of it is your own personal reflections. Are the five points/arguments discussed above the same arguments that Bensouda made in her comments? Or is this post an academic piece assessing the broader issues against the backdrop of Bensouda’s comments? This is not clear to me. Baseless is a strong word, and I’m not sure you’ve really proved your case. Two of the five arguments you’ve trotted out — as have others before you — are irrelevant. The fact that ICC countries supported the Rome Statute before the ICC came into being says nothing about the ICC’s perceived bias since 2002. In fact, if anything, the fact that Africans overwhelmingly (if this is true) supported the Court then and no longer do so now (if this is true) speaks volumes about what has happened in the last ten years. Africa’s support for the ICC before 2002 is not an argument countering the ICC’s perceived bias — if anything, it lends support to the neo-colonialism thesis. Closely related to that is the third point about self-referrals — this is a hugely controversial argument to make, since in DRC, Uganda, CAR only those not affiliated with the governments in power have been pursued. If by cooperation we mean using the ICC to get rid of inconvenient rivals, then yes, by all means, the ICC has the support of (some) Africans. But I’m not sure those are the Africans the ICC is really supposed to be protecting in the first place. “…and three states initially welcomed and have since exhibited a satisfactory pattern of cooperation with the Court (Cote d’Ivoire, Kenya, and Libya).” I would love to find out what cooperation we are talking about here. If anything, Cote d’Ivoire and Libya are further proof that the ICC is helpless when it comes to pursuing those perpetrators who happen to be in power / on the winning side. In other words, like in CAR, DRC and Uganda, it will be immensely difficult to go after people affiliated with Ouattara or the NTC, the two parties that won the war and are now in power. Again, I’m not sure this proves anything about African support for the Court, unless we are talking about powerful elites that can use the ICC to eliminate dangerous rivals. Your point about “J’accuse…” — not sure this proves much of anything. You call it a rhetorical tool deployed by war criminals. I think many Africans who are genuinely enraged by the ICC’s behavior in Africa would be offended by the comparison, and rightfully so. 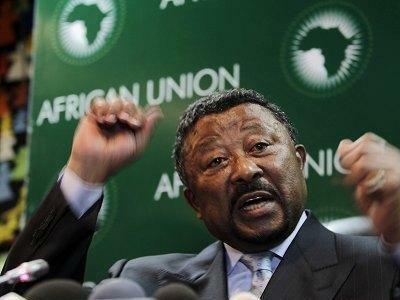 Just because some/many Africans disagree with the ICC’s politics does not mean they support war criminals. That would be absurd (and I don’t think this is what you meant). Two points deserve more scrutiny. A) The Empirical Record, as you call it. B) Civil Society. Civil Society — this is the most compelling argument, hands down. Few would argue that African civil society is not overwhelmingly supportive of the Court. But lest we celebrate too soon — where does all the money for the CICC, HRW, OSI come from? What about national NGOs? Who actually funds them? When I hear that the Coalition for the ICC represents locals I have to pause and think for a second. Is it really that simple? I do not know the answer to this question, but it’s something that should be given more thought as well (and the literature rarely does that). The Empirical Record argument is another way of saying — the ICC is investigating African countries because this is where violence and crime happen. One only need look at the list of conflicts over the last ten years to understand that this simplistic and paternalistic (not to mention, ill-informed) view does not stand up to scrutiny. That said, many — as you rightly pointed out, MANY — atrocities were committed in Africa. Which brings us back to where this all started. How is that Africa, where MANY — certainly not all — atrocities were committed is the ONLY place that is being investigated? This is the question we’re grappling with. 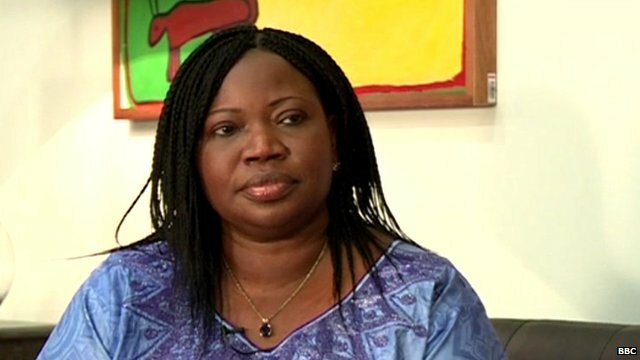 Bensouda’s PR stunt is useful, and it carries a lot more weight since she herself is African. But I find it incredible that academics would take the Prosecutor’s PR campaign at face value. Do we seriously believe that there is nothing wrong with the way the ICC has been deployed over the last ten years? Do we seriously think that the African Union’s resolutions calling for non-cooperation are little more than window-dressing? Is the fact that a number of African countries have publicly refused to enforce the arrest warrant against Bashir irrelevant in how we gauge Africa’s support for the ICC? I read Alana’s post with interest. But maybe it’s time academics took a more critical look at how international justice is being enforced around the world. Just to agree with Maya’s points. A lot of this has to do with rather vague understandings of what is meant by ‘racism’ or ‘neo-colonialism’, concepts which are often formulated in a way that is actually entirely complementary with the points made in the post. A number of these issues were indeed raised by commenters here back in February (https://justiceinconflict.org/2012/02/22/is-the-icc-racist/). I would add that there is something rather insulting in the idea that those who criticise the Court on these grounds are wrong-by-association because Taylor et al. have said similar things (perhaps we shouldn’t read too much into your Dreyfus reference, but I do wonder who is supposed to be the equivalent of the anti-semite here). But let us focus on just one interesting contrast. Point 3 says that the ICC can’t be racist or neo-colonial because African leaders wanted it. Point 4 says that the ICC can’t be racist or neo-colonial because some of the war criminals don’t want it. But some of those individuals are the same: unless we are deciding in advance that Museveni and Kabila aren’t guilty of anything even though they haven’t been investigated yet. This is the substance of many of the criticisms of the Court: that it acts as the agent for one side in a conflict, and that which ‘side’ this is is overwhelming determined by the geopolitical imperatives set by great powers. And lo, it is presented thus: it is decided pretty much by definition that state leaders who ‘want’ and ‘support’ the ICC do so because they are on the side of law and justice, without any reference to their actual deeds. This seems implicit too in your depiction of Ntaganda: as if we wasn’t a bad guy when he was ‘integrated’ into the FARDC but is now that he’s defected! Maya – thanks for your response and your many thoughtful comments and questions. I’ll do my best to respond to some of them. First, you seem to take issue with the tone or purpose of the post. Indeed, I’m certainly not writing as part of Bensouda’s “PR campaign”, if it is such a thing. Much of my writing and research, whether academic or blogging, is quite critical of the politics of the International Criminal Court. Moreover, as a blog post this is neither an academic article nor an opinion piece that lacks supporting evidence. The purpose of the post was to highlight an important news story and provides some further analysis to explore the issues. Your critical comments are welcome, but this is a highly contested and subjective area of research where your demands of “proof” seem to ignore some clear cut empirical trends Africa’s political relationship with the Court. Second, on cooperation with the Court, I agree that it’s relevant to point out that early support for the ICC among African states in Rome has since eroded among some states. But this rather highlights the hypocrisy of political elites rather than hurts the credibility of the Court. Supporting international institutions, particularly human rights related ones, in principle but not in practice is a persistent problem in international politics and this is not exception. But it’s hypocritical for political elites to support the Court in principle but not if it legitimately targets them for crimes that fall under the ICC’s jurisdiction and is in accordance with Rome Treaty obligations- this hypocrisy extends to the U.S., China and other major powers as well who support the ICC in an ad hoc manner. In the self-referral cases, the extent of cooperation has clearly been with regards to a) referring the cases in the first place b) allowing access to witnesses and evidence and c) supporting and executing arrest warrants. Even in Kenya where the Court’s role is contested, the Ocampo Six all appeared voluntarily. Libya and Cote d’Ivoire invited the Court and have followed the proper channels for cooperation. I have argued elsewhere, and as you suggested, that there have been selective indictments where one side of a conflict has enjoyed impunity. But on the cases that do exist, the the type cooperation required under the Rome Statute has been satisfactory but not perfect. Third, I did not equate the accusations of war criminals themselves with lack of support for the Court from African citizens and victim communities. My point was quite the opposite and I wanted to clarify that those, and media, who reference the “neo-colonial” bias are referencing the allegations of war criminals and not the vast majority of the population. Fourth, on civil society, the CICC does not financially support or prop up local civil society. I’m quite familiar with their network structure – the CICC provides them with access to information, networks NGOs, and most important gives them a forum to interact and advocate on ICC issues. Fifth, on the empirical record, there are indeed many cases outside of Africa that deserve the Court’s scrutiny if not investigations and indictments. But this does not mean that the situations in Africa should be ignored for the sake of geographical balance. This was Ocampo’s position and a rare one with which I agree. Finally, academics have been a strong and consistent source of critical analysis on the International Criminal Court. Certainly there’s a degree of PR from the Prosecutor’s office, and was pronounced under Ocampo, but you’d be wrong to suggest that academics and political scientists in particular are not critical or aware of the serious political implications of the ICC’s prosecutorial strategy thus far. The issue I wanted to address was the the challenge that there is an inherent bias in the Court’s operation towards Africa and to disagree by arguing that there is indeed much support for the ICC within Africa and that the trends and events of the present situations/cases demonstrate that support. I think the question should not be “why Africa?” but “why not Iraq, Sri Lanka, Afghanistan, etc…?” To me these are two separate issues. Thanks for your comment, Alana. Maybe I should clarify/re-iterate what I meant. You’ve pushed back on my comment about PR / opinion piece, which wasn’t really a substantive critique. It was more about style. I just think you could’ve made it more clear for whom you were speaking. But I think the reason this was not clear — and it is clearer now after your follow-up response — is because your opinion is so similar to the Prosecutor’s PR campaign as to make the two practically indistinguishable. Which for me is reason enough to worry. The Prosecutor has to cast the Court’s / his / her work in the best possible light. Why so many academics insist that this is a black and white issue, in which Africa’s (who is this anyway?) critical stance toward the Court is simply “baseless” (that doesn’t leave a lot of room for discussion, now does it? ), baffles me. I think this is highly complicated, and the West / academics / the Court ignore the warning signals coming from Africa at their own peril. Dismissing African critiques as “baseless”, despite the persistence and force with which they’ve been articulated is frivolous at best, dangerous at worst. You seem to miss the irony of your comment. Empirical trends is another way of saying proof. Pretty circular riposte, if you ask me. What kind of make believe world are we talking about here? I don’t think we live in a black and white world, where the Court is legitimate because you say so, and the bad guys are bad because… you say so. Do you really think that Bush KNOWS he’s guilty of torture? Do you really think Bashir KNOWS he’s guilty of genocide? Do you really think Israeli commanders KNOW they’re guilty of war crimes? These three individuals/groups resent the ICC not because they know they’re in the wrong and the holier-than-thou ICC is right. I guarantee you that they all genuinely think the Court is illegitimate and that they are innocent. And they seem to have the support of their governments, their elites and — in at least two of the three examples — their populations, otherwise there would be more pressure to actually have them prosecuted. I don’t hear the American people up in arms about Bush’s support of torture. I don’t hear the Israeli people denouncing its army. And I don’t hear the Sudanese people — though this, admittedly, may be due to other factors — clamoring for the ICC to arrest its leaders. So now it’s the media’s fault? Who is the vast majority of the population? Where is this media conspiracy? Please show me the empirical trends. The only country for which we have remotely reliable data is Kenya — according to the most recent polls I’ve seen, depending on the type of question asked, between 50% and 60% of the population supported the ICC’s intervention. Depending on how you look at this, this is ridiculously low (only half the population happy that its leaders are being prosecuted for crimes against humanity?) or depressingly low (do these people not realize what happened in their country?). You may disagree with my assessment, and that’s fine. But quite how one can take these figures and make this seem like a black and white, clear-cut case of normal Africans in favor of the ICC vs. bad elites against the ICC is what I do not understand. 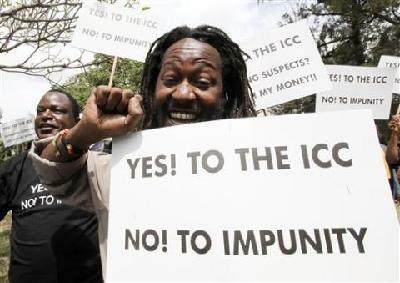 Isn’t it time we accepted there is genuine discord among Africans about the ICC? Shouldn’t we at least try to unpack that? Perhaps herein lies the misunderstanding. ‘Much support’ is not the same as ‘baseless.’ There is indeed much support. But there is also much opposition, and it is anything but baseless. Critics of the Court’s focus on Africa have articulated coherent and stinging critiques of the Court’s selection of cases, its impact on peace processes in Africa, and what this means for the future of international justice in Africa and elsewhere. We ignore it and / or dismiss it at our own peril. “I think the question should not be “why Africa?” but “why not Iraq, Sri Lanka, Afghanistan, etc…?” To me these are two separate issues.” I couldn’t disagree more. If you spent more time listening to what Africans were actually saying about the Court, then you would understand why. Strike the last sentence. That is not constructive. I meant merely to say that these two things are in fact interconnected, and this has been one of the many critiques leveled at the Court. The ICC can get away with an intervention in the Central African Republic, but Iraq — because of the US presence — is out of bounds. Anyway, we disagree about this and many other things. I would like to follow up on this debate. The question of whether the ICC has so far been biased in its interventions is a complex one, and can hardly be dismissed as “baseless” simply by making the points raised by Alana – i.e. that African states wanted the ICC; African states need the ICC and African states (usually) invited and welcomed the ICC. While clearly Alana is right in noting that African leaders – not to mention the AU – have tended to reject ICC interventions where it does not fit their own narrow agenda, and that, at least in some instances, many ordinary citizens in the countries where the Court has intervened support the ICC short of any other accountability mechanism, Alana ignores more profound problems surrounding the issue of selectivity. That is not to say that I support the “neo-imperialist” argument made by some, nor to say that I oppose ICC interventions in Africa in general. On the contrary, I believe the Court’s intervention has in some instances contributed to important goals (a discussion of which goals and how more precisely the ICC has promoted them is beyond the scope of this comment). My point is simply that the issue of selectivity is much more complex than implied by Alana, and that the analysis offered ultimately contributes to maintaining unhelpful divides and a formalistic view of international justice, rather than contributing to a richer debate about these crucial issues. For example, Alana’s analysis disseminates a superficial picture by seemingly endorsing the ICC prosecutor’s argument that his office simply intervenes where the law requires him to intervene – when the gravity requirement is satisfied. But what criteria should be used for deciding gravity? Simply the number of victims, as has been the main – or perhaps, as argued by some, the only – criteria used by the OTP (at least until the Kenyan case)? Though I do not necessarily agree with the criteria proposed, in his article, “Situational Gravity under the Rome Statute”, Kevin Jon Heller makes a point in asking whether not gravity ought to be determined on the basis of other considerations (in his view, 1) whether the situation involves crimes that were committed systematically, as the result of a plan or policy; 2) whether the situation involves crimes that cause “social alarm” in the international community; and 3) whether the situation involves crimes that were committed by States). If using such criteria, clearly, intervening only in African states is problematic for the ICC. And, even if one should endorse utilizing the “number of victims” threshold for gravity, it does make sense to ask whether the ICC is faithfully implementing such a policy. In any event, debate about the justifications for ICC interventions is important, and unfortunately Alana’s piece does not really contribute to it. While there is clearly a danger in disseminating the picture that the ICC is “anti-African”, there is also a danger in portraying the debate about selectivity simply as a question of war criminals invoking “hyperbolic claims of racism and neo-colonialism”. Clearly, the ICC does operate on the basis of political realities, and selectivity does pose a problem for the legitimacy of international justice, to the extent it cannot be justified. It is important that this debate is not simply dismissed as matter of war criminals’ ability to capture the debate, but rather takes place in context of questions, such as: what do we want with international justice and what really influences the OPT’s decisions to intervene in some cases, but not others. Further, is it really as simple as Alana implies: “African states invited and welcomed the ICC: Three states self-referred their situations to the Court (Uganda, DRC, and the Central African Republic) and three states initially welcomed and have since exhibited a satisfactory pattern of cooperation with the Court (Cote d’Ivoire, Kenya, and Libya)…”? This seems a rather formalistic take on it, in my view. While Alana seems to reject an elitist approach to international justice, were these self-referrals not mainly a question of political elites in power supporting ICC intervention partly because these elites thought that the ICC would promote their own narrow agenda, for example by targeting rebel leaders in opposition to the incumbent, and partly because the OTP pushed for the referrals behind the scenes? What is more, it is simply not true, as Alana argues, that the other states – Cote d’Ivoire, Kenya, and Libya – have “since exhibited a satisfactory pattern of cooperation with the Court”. While readers of this blog will be familiar with the fact that Libya has clearly not “exhibited a satisfactory pattern of cooperation” with the ICC, less attention seems to have been brought to the fact that the government of Kenya is clearly attempting to undermine the ICC process, despite its formal commitment to justice. But does formal commitment mean that the government of Kenya is satisfactorily cooperating with the ICC? As I recently argued in a piece on OpenSecurity (“Masters of manipulation: how the Kenyan government is paving the way for non-cooperation with the ICC”), the government has used enormous resources attempting to get rid of the ICC – for example by filing an admissibility challenge (in the absence of a local accountability process), attempting to obtain a UN Security Council deferral of the cases (arguing that ICC intervention presents a serious risk to the peace), and more recently stating that the cases “should be brought home”, using either the African Court of Justice and Human Rights, the East African Court of Justice or national courts to try the cases, though none of these options are feasible and the Rome Statute does not offer a basis for transferring cases to a potentially competing regional court. Quite simply, by creating such “noise”, the government wants to manipulate the debate in order to ultimately legitimize non-cooperation with what will be called an aggressive International Criminal Court, disrespectful of national sovereignty and African sentiments. While Alana does point to the problem of elite capture, by utilizing the same “Africa vs. the ICC” or “the ICC for Africa” dichotomy which the Kenyan leaders hope to bring into play, Alana fails to consider how it can best be combated.